The DDOS attacks on the MMORPG Albion Online are a big hit on the players. But now the developers announced a compensation. Albion Online has suffered DDOS attacks for several days. As the developers said, the DDOS attacks seemed to be a reaction to the action taken against Gold seller. It even came to a ransom claim. The attacks should continue until a certain amount, about 18,000 €, had been paid. The team behind Albion Online has decided not to pay money to the blackmailers. In the meantime, the worst seems to have survived. The attacks are still taking place, but the impact is not as drastic as at the beginning. It is better to log in and play. Nevertheless, the developers advise all players to be cautious in the game, as it can lead to connection breaks again and again. The fans of the MMORPG were the victims in the whole story, because they could not play or hardly play. Therefore, the developer team now announced a compensation for the DDOS attacks. 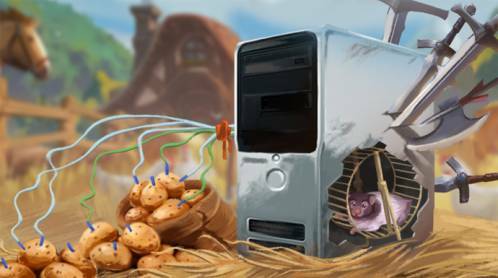 Anyone who had problems playing Albion Online between July 17th and August 11th due to the DDOS attacks will be credited with one week's game time. This week, in addition to the free week, the players receive due to start-up problems. Meanwhile, the team is still working to fully manage the situation. Experts are already developing appropriate measures with which the DDOS attacks are to be further restricted. There is currently no date for when these measures will go live. The latest measures have already been successful. The servers kept up. The performance of the game still suffers from the attacks and there are still connection breaks, but the situation has improved and should improve even more shortly. If you need silver or power leveling in game recently, you will want to join in our activity to get the 3% off code and buy cheap albion online silver on UpAlbion.